The Geneva Motor Show 2016 was the venue chosen for the official premiere Peugeot 2008 2016, the renewal of the small SUV Lion signature. He Peugeot 2008 2016 It is now on sale for a price starting 13,550 euros (With official discount brand, PIVE aids and special financing plan; see prices at the end of this article). The range of this urban SUV It articulates with three trim levels -Active, Allure and GT Line new- Y five engines, all technically they adapted to the antipollution standard euro 6. As for the total number of colors available for bodywork, They offered up 9 tones, 5 of them metallised and 2 opaque (among the new so-called Ultimate Red and Emerald Crystal). The family of three-cylinder petrol engines technology PureTech, already available in many other cars of the PSA group, also drives the range Peugeot 2008 2016. Low to high power at a first level you can choose a 1.2 atmospheric PureTech 82 hp, while the top two steps placed the 1.2 PureTech turbocharged 110 and 130 hp. These engines in the range 2008 2016 replace the previous atmospheric 1.2 VTi 82 hp 1.6 and 120 hp. Powerful least you can choose a five-speed manual gearbox (the PureTech 130 hp, with a manual six-speed). As remarkable novelty is the ability to choose an automatic with torque converter six-speed EAT6, in this case with the 1.2 engine 110 hp PureTech. 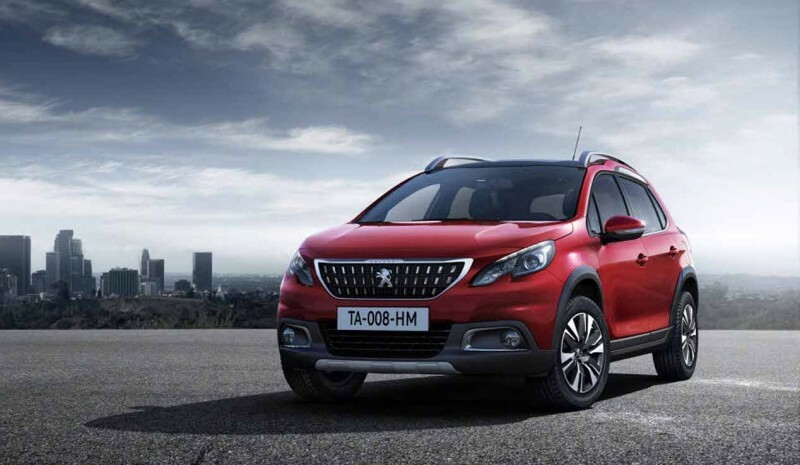 In offering Diesel engines of the Peugeot 2008 2016, They are available two blocks 1.6 BlueHDi 100 and 120 hp. The first of which is coupled to a five-speed manual gearbox, while the second has one of six gears. Except PureTech gasoline engine 82 hp, all mechanics Peugeot 2008 series have the Stop system & Start and stop-start engine. The CO2 emission levels of this urban SUV range from 90 g / km and 114 g / km, so its entire range is exempt from registration tax in Spain. 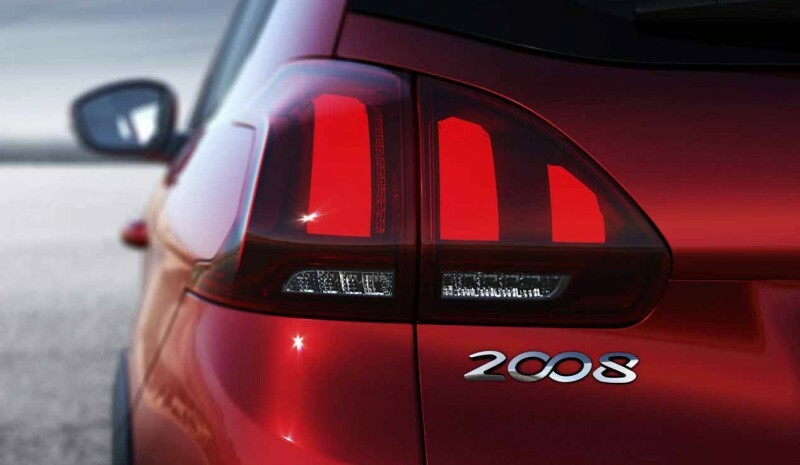 The Peugeot aesthetic changes renovated 2008 are basically limited to a new front grille -now, with vertical chrome lamellae more marked, instead of the above-horizontal and a lighthouses Y rear lights new design. On the other hand, both the wheel arches and bumpers take a more prominent and bulky style. In all, the 2008 passes offer more powerful image, over SUV. 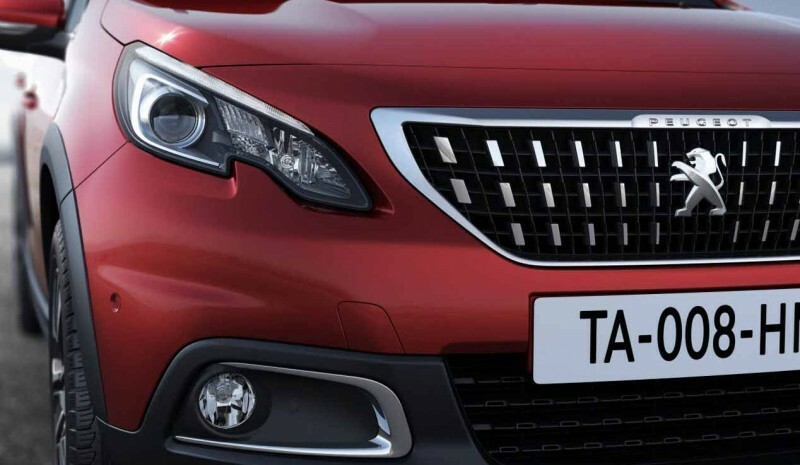 Remember that the Peugeot 2008 2016 shared technical platform with car B segment Peugeot 208, but yes, is about 20 cm longer and nearly 10 cm high (the height of the body relative to the ground is also greater, more specifically 2.5). He standard equipment of the Peugeot 2008 Active, the level of access to the range includes as the following main elements: front and side airbags for front and curtain all, developer and speed limiter, adjustable driver's seat height, electric heated exterior mirrors and seats, mountings for Isofix child seats, air conditioning and steel wheels 15 inches. 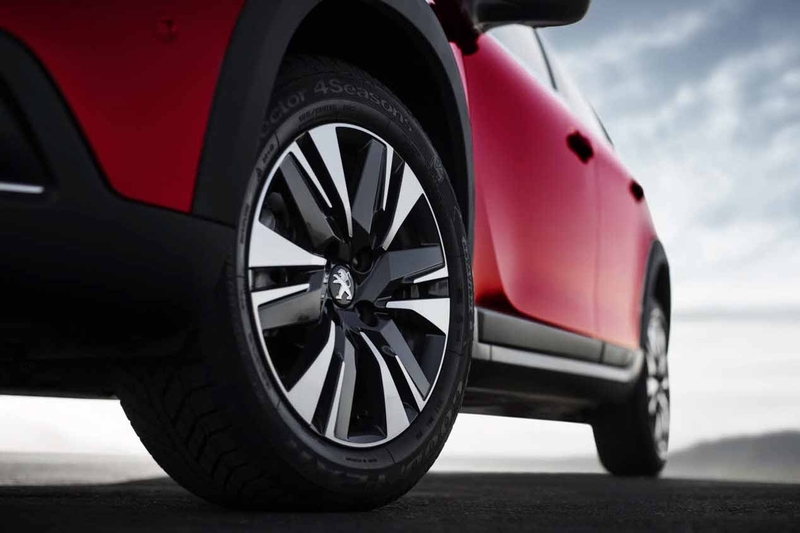 A step above, it is placed the Peugeot 2008 Allure, It is offering as outstanding equipment alloy wheels 17 inches and intelligent front-wheel Grip Control (If the driver wishes, you can also be mounted tires M + S of the initials of the words "Mud" -barro- and "snow" -snow-). Finally, the GT finish line Peugeot 2008 2016 includes everything mentioned in the Allure finishing and reinforces the sportier side of this SUV, with various decorative elements distributed on the outside and inside. 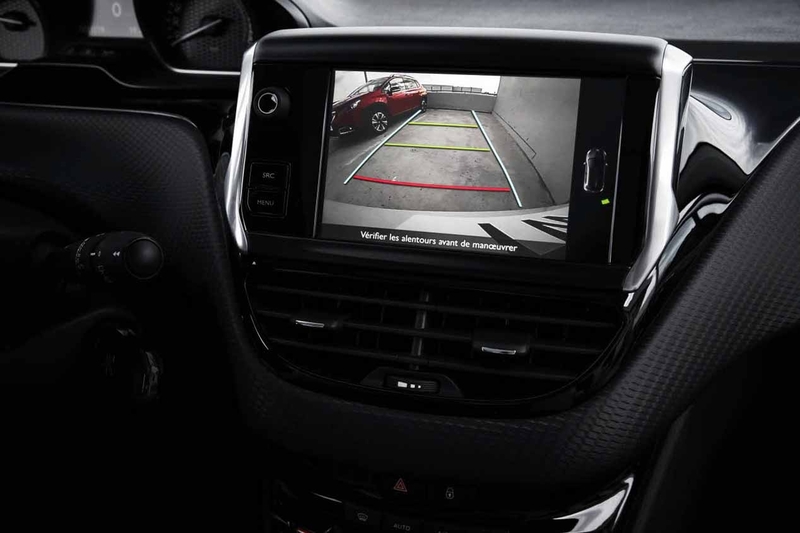 Elements optional Featured in equipment Peugeot 2008 2016 They include the parking aid system Park Assist and automatic braking system in city to City Brake Active low speeds. Already in the inside and for fans technology, French firm offers MirrorLink system, with which the driver and his companions be displayed on the touch screen multimedia system some of the applications installed on your smartphone (Compatible with Android and IOS-Apple). 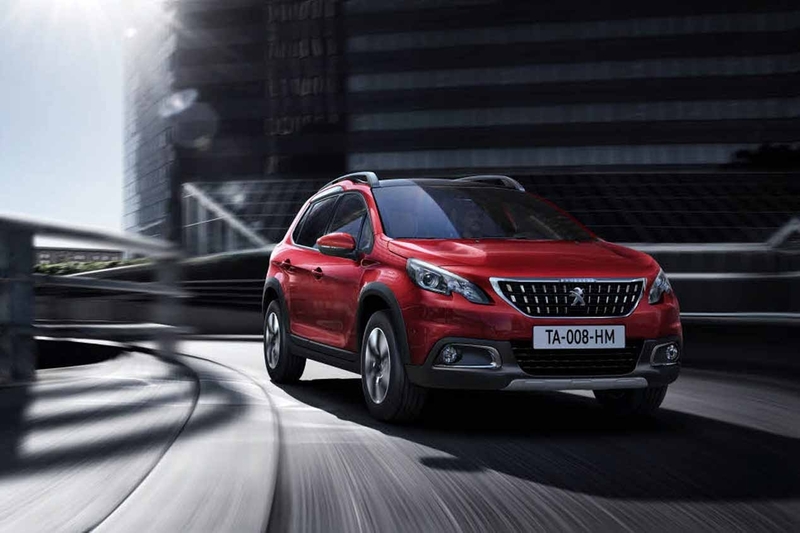 He type of traction across the range of Peugeot 2008 2016 It is at front wheels, though versions Allure and GT Line They are provided the Intelligent drive system Grip Control. He Grip traction control system acts only on the front wheels. Depending on the conditions of grip and traction, this device intelligently distributes and front wheel you need more torque. It has five operating modes selectable via a rotary knob: 'Standard', 'Snow', 'Arena' 'crossover' and ESP Off. (From 13,550 euros with official discount Peugeot, helps PIVE Plan and special financing, all inclusive). Frankfurt Motor Show 2017: inntil 75 nye bil!